Home Cryptocurrency How KYC for ICOs can Help Cryptocurrency to make a rebound? What Went Wrong for Cryptocurrency? Cryptocurrency around the globe hit a hard bottom that was caused purely because of the bad reputation and inability to adapt to the changing regulatory landscape that required more transparency in the business practices of firms involved in cryptocurrencies whether it was a cryptocurrency exchange, blockchain based companies using cryptocurrency to raise funds or e-wallets offering hosting services to common users to store their cryptocurrency. This inability of businesses involved in cryptocurrency led to a volatile nature of cryptocurrency which saw short-term investors looking for early yet profitable exits rather than substantial infrastructure being developed by bigger players of financial markets. But there is still hope alive for cryptocurrency or utility tokens that blockchain based ventures want to use in order to run their in-app economies and what better way to avail the much-needed re-bound then implementing KYC and AML solutions to deter the use of cryptocurrency for online scams and financial crimes. But the most important aspect for this ultimate embrace of cryptocurrency and compliance based operations is that all the stakeholders need to be onboard with the idea and adopt industry regulated policies. 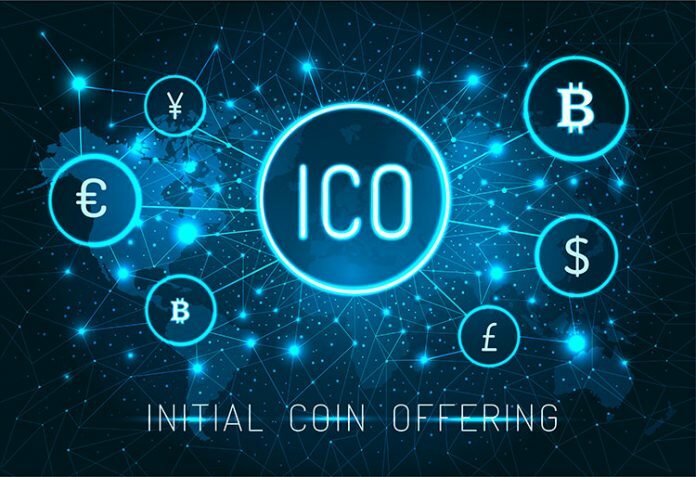 Not only the mining companies or the crypto companies launching cryptocurrencies via ICO need to implement holistic and swift KYC compliance but other players of the game such as crypto exchanges, crypto wallets and platforms allowing transactions through cryptocurrency also need to implement hard-to-crack KYC services and AML compliance programmers. Starting from KYC for ICOs and going all the way to AML screening for crypto wallets, the crypto verse has to make sure that there is no loophole, at least as far as compliance strategy is concerned. Because as far as slipige is concerned for individuals with financial risk or fake customers with doctored credentials there is always a percentage assigned to such kind of fraud or loss of revenue, even in the conventional financial institutions. But apart from this, there needs to be clear devotion by crypto-enthusiasts and blockchain based technologies issuing these crypto-tokens that shows their resolve to purge scammers, financial risk carrying individuals and fraudsters from their ranks. It is completely understandable that Like any other industry, faced with the dilemma of operating under a regulated oversight there are going to be few hiccups down the road. This is especially true for entities that cannot operate without regulatory approval or have came into being sole as a rebellion against regulations and oversight. 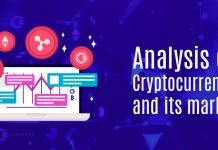 Now that we have created a case to implement a KYC for ICOs or an identity verification solution for other cryptocurrency related ventures, let us analyze what kind of regulatory landscape awaits cryptocurrencies? It has been established that the implementation of an AML and KYC program is an absolute necessity for the revival of cryptocurrency. Like other major financial services, the blockchain based ventures and crypto related platforms are also subjected to specific regulatory compliances depending on their particular business model. These regulations do not necessarily deal with cryptocurrency exchanges or e-wallets that have the additional functionality to handle cryptocurrency, but the decision to embrace KYC regulations and AML compliances will also have an impact on blockchain based ventures that want to conduct an ICO in order to raise funds for their future expansion. Like any other industry, the financial sector – the governing sector of cryptocurrency – has no exemption from the implementation of AML and KYC regulations within its border and controlled jurisdictions. In fact, the financial services industry has one of the most stringent anti-money laundering laws and Know Your Customer requirements to prevent criminals and terrorists from using the financial system for illicit activities through money manipulation tactics. There are several AML around the globe, for example, the holy grail of all anti-money laundering requirements in the UK originates from the Money Laundering Regulations Act 2007. This act applies to a range of institutions from multiple sectors operating out of the UK. Most notably, Banks in the UK are mandated by law to comply with anti-money laundering laws and Know Your Customer requirements without fail. Same regulations are expected to be implemented on e-wallets as their business model also make them resemble the services that an ordinary bank has to offer such as transactions, paying for services and products and transferring funds from one destination to another. And just like banking and finance sector where it is required for financial services and other associated institutions to collect and store appropriate KYC data about their customers. The collection of KYC information helps banks to adhere to strict sanction regimes of global regulations of regulatory authorities. Under basic identity verification requirements applicable to cryptocurrencies and platforms dealing in such virtual currency, it is mandatory to establish reasonable diligence about their customers. This helps establish a credible belief about the customer and the information provided by the customer is reasonable enough for the Financial Institutions to know who they are. These measures are called ‘Customer Due Diligence’ measures which require the identification and verification of individuals from documents of probative value and reliable and independent sources. Identify and verify the relevant Beneficial Owner(s) and apply the necessary risk elements. In addition to sourcing information on the intended nature of the business relationship and source of funds and origin. There are also applicable EDD or Enhanced Due Diligence measures that require regulated institutions to vet their customers against global watchlists for any exposed and political statuses(PEP). When this risk-based approach is applied, cryptocurrency venture will have a reasonable idea from all the collected information whether a person, along with their business profile, nature and transaction history make logical and consistent sense. That nothing falls out of place and highlights anything suspicious that goes against the customer ‘profile’. The implementation of aml/kyc regulation in the financial sector is not new to companies operating in this industry. However, the legal liability of the companies to implement such measures to practical effect is a slow and ongoing process. Cryptocurrency Companies need to consider the benefit of implementing these measures and the consequences of non-compliance if found in breach.